It all began with an Amish boy's vision. At the age of 15 Mel started dragging junk vehicles in with a Farmall H Tractor. During his childhood he'd ride his bicycle to some of the neighbors and palled up with one of the gentleman who would travel to salvage yards to purchase parts to repair his vehicles. From this Dundee Auto evolved. Dundee started with a variety of salvage from cars to trucks. Then in 1977 when the blizzard hit, Mel realized there was a need for a salvage yard specializing in 4X4 truck parts. 1982 marked the year we began importing aftermarket sheet metal. This was an added benefit for our customers when used parts are not available. Aftermarket sheet metal includes: fenders, door shells, hoods, tailgates, bedsides, rocker panels, cab corners, floor pans, quarter panels, and repair panels. Since this time we've added new bumpers (front and rear including step bumpers) and gas tanks. A nice attraction upon entering our driveway is our REBUILDABLE LOT which consists of a variety of late model P/U trucks, SUV's, vans, 2 wheel drives, 4 wheel drive. (Gas or Diesel) It's a sure shoppers delight for those of you who do not want to pay the new truck prices. come check them out, or give us a call and have us E-mail you some pictures. Next is our office/warehouse w/shelves and shelves of new, used, recycled and aftermarket parts. Our personnel is very knowledgeable capable of assisting you (our customers). 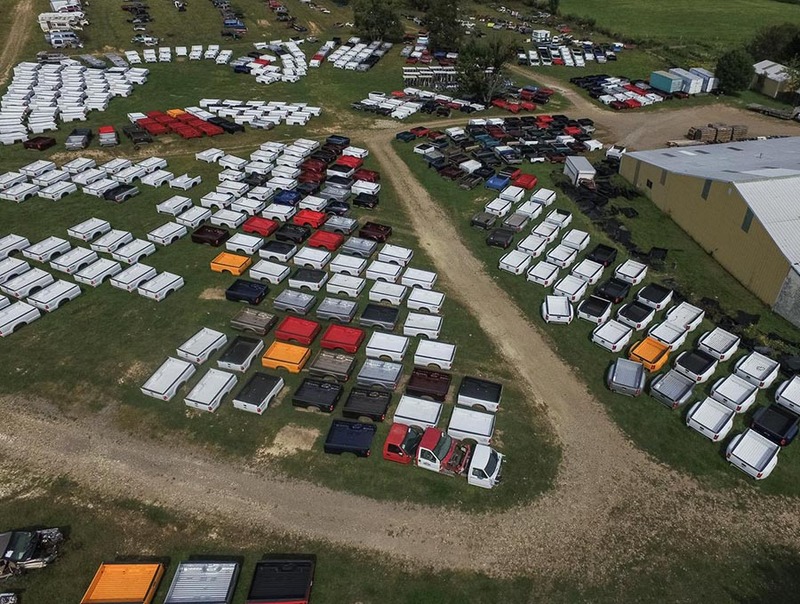 Following a visit to the office you are welcome to enter the salvage yard which is stocked with our parts vehicles. Years ranging from 1967 to present. F.Y.I. The tracks in the yard are from sheep grazing, keeping the weeds trimmed. (Deer just don't eat enough)So, if you need pick-up truck, SUV, Jeep, or Van (full size) parts, Come see us in the beautiful rolling hills of Tuscarawas County. The heart of Amish Country don't limit your imagination of what you might find in our 25 acres of salvage.